There’s been a lot of talk lately about the (unlikely) banning of Bloodbraid Elf from Standard. While I don’t think I need to explain the perspective of those calling for said banning, those opposed seem to collectively feel that the card “is not too strong,” is “beatable,” and that “if you don’t play the card, you don’t get a vote” (that last part can be attributed to Patrick Chapin). As you may be aware, Bigheadjoe and I have mentioned a petition to ban BBE on our podcast, Yo! MTG Taps! However, despite our annoyance at the prevalence of Jund decks, this petition was created as a combination joke-meets-social-experiment; we weren’t actually serious, nor did we expect it to get anywhere. Nevertheless, I do have something to say on the subject. Primarily, what does it mean to say a card is “too strong?” Does “too strong” = “unbeatable”? “Extremely difficult to beat?” If so, I do not feel that BBE is too strong. The problem with Bloodbraid Elf is not that it is unbeatable. The problem is, anything that reduces variety in the game to this degree makes the game much less fun. 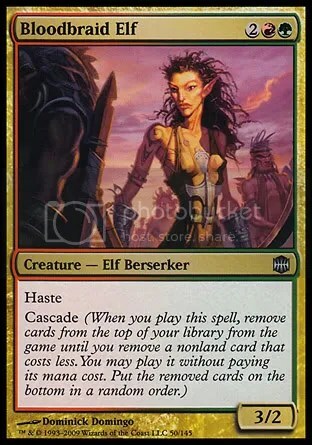 I don’t know if that qualifies Bloodbraid Elf as “ban-worthy,” but there is clearly a problem with the presence of this card in the format. 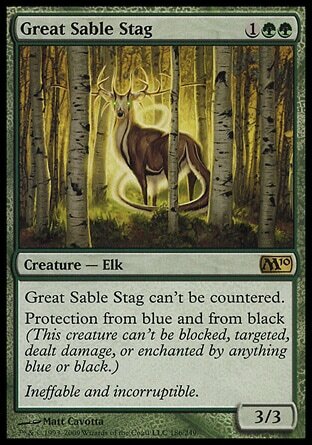 Personally, I just don’t think the problem is big enough for Wizards to do anything about it (beyond possible cascade hosers in Rise of the Eldrazi or M11; see also: Great Sable Stag > Faeries/5CC).